Inclusive classrooms are about more than classroom environment and day-to-day pedagogy; they are also related to course content. You can always add more diverse examples, readings, or cases that are related to your student learning goals, but it’s even better to intentionally design a course with diversity and inclusion integrated throughout the course. If you’re going to redesign your course or rethink your curriculum, why not apply for a CATL Diversity and Infusion Grant? See examples of what other faculty have done. Collaborate with colleagues about useful resources, effective strategies, and meaningful learning goals. Investigate what leaders in your field are doing to infuse diversity into their curriculum. CATL has some general resources, but it is sensible to consult experts in your own field. Think about course content in terms of topics to be covered, types of case studies, application of theories, evidence, and types of thinking you want to encourage. Be intentional about the readings or class preparation materials you choose – where relevant, try to select texts, films, and other sources that were created by members of groups being discussed, not just about them. Where possible, select readings whose language is inclusive and free of stereotypes. Design courses that emphasize critical thinking. Design courses that make connections to real-world situations and various types of people, not just the majority. If it is suitable for your discipline, help students view concepts, events, themes from a variety of perspectives (whether that be by ideology, theory, groups of people, etc.). Consider and share with students how recent scholarship – perhaps about gender, race, sexual identity, global perspectives, etc. – may have changed your field of study in recent years. Discuss the contributions to your field of historically underrepresented groups. 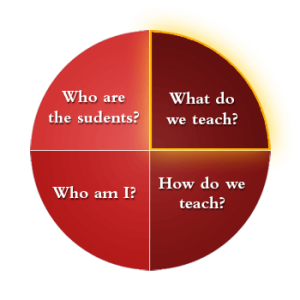 Think about the many types of students you teach and how they might respond to and become engaged with the course content. Think about the fact that students will be bringing different knowledge, experiences and skill levels to the course and how you might help those with less background in the field and challenge those with more background. Consider how you will assess your course with your learning goals in mind. Attend a CATL course design group.